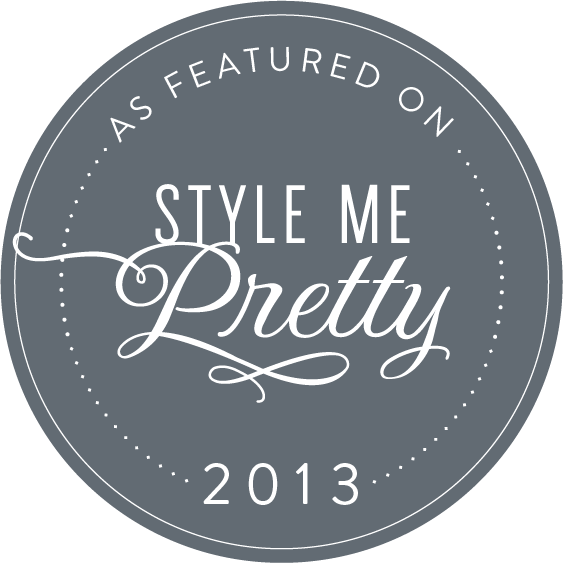 Wedding Vendors tend to only come up for air during the off season and we missed the fact that one of our favorite weddings was featured in Style Me Pretty over the summer. I know!! How did we miss this? This wedding was held at the Habitat Wildlife Sanctuary in Belmont with a guest list of only 25 people and shot by one of my favorite photographers, Joyelle West. 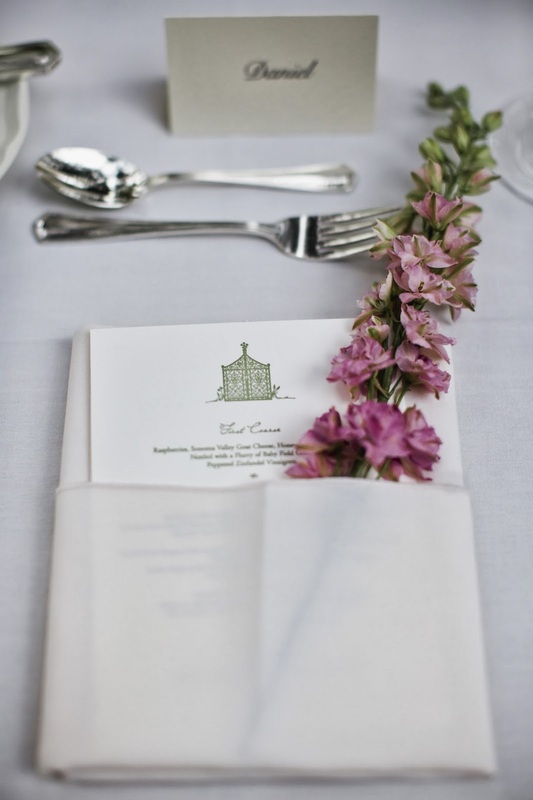 The small guest list allowed the bride and groom to really focus on the details to make this garden wedding come to life. Beautiful flowers including the flower arch were made by our friend Apryl at Petalena. 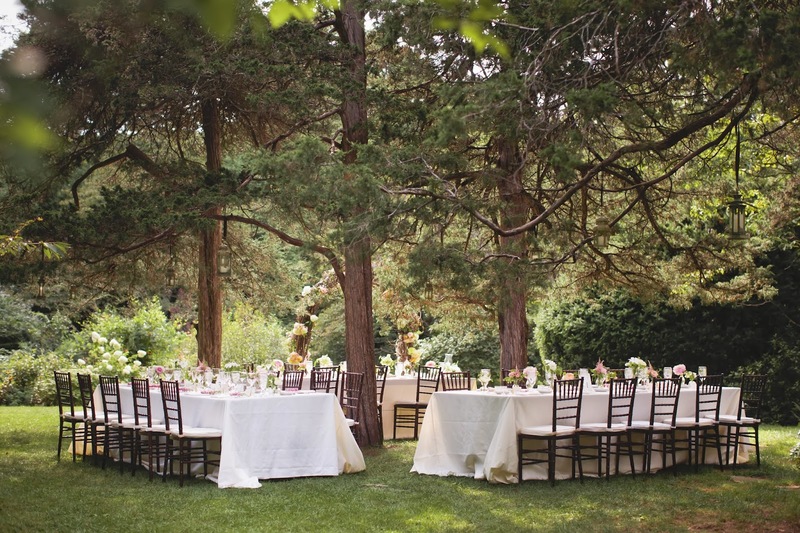 Lanterns were hung above the tables in a grove of trees creating an intimate dining atmosphere! All the paper accents used a beautifully designed illustration of the Garden Gate at Habitat drawn by the mother of the bride. Having dinner under the trees was very important to our clients: so much so that they ignored our advice to have a tent! Thankfully, the weather was amazing and no tent was needed. You can see even more photos on Joyelle's blog! 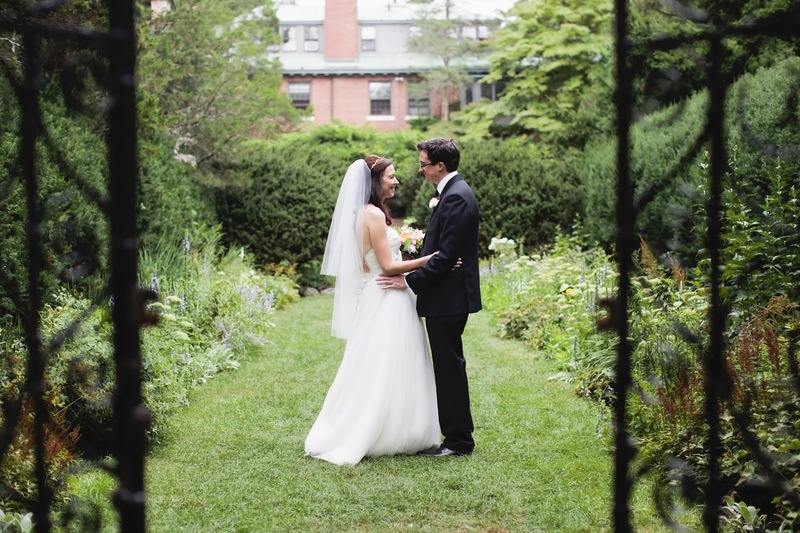 We loved this wedding because it really shows that small weddings can be meaningful and stunningly beautiful!